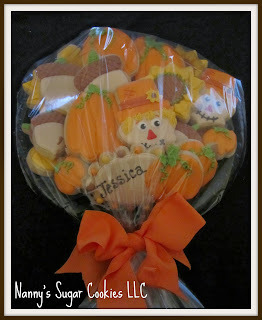 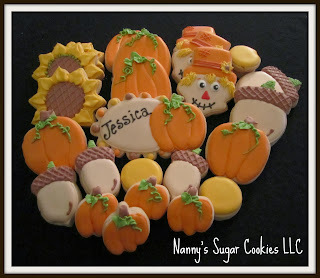 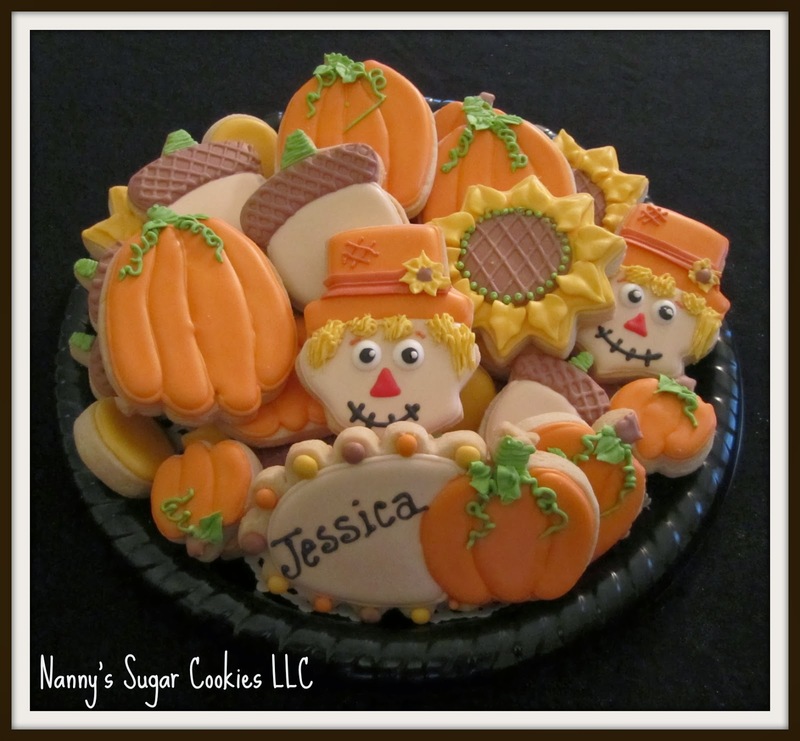 A close- up view of the cookie designs. 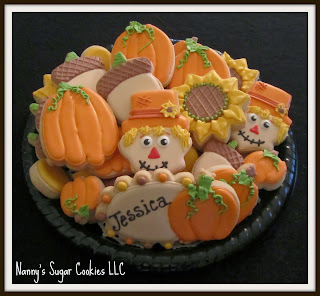 The cookies arranged on the platter. Packaged and ready for delivery.